The Peugeot 208 HYbridAir 2L demonstrator has a compressed-air system that boosts or even replaces power to 1.2-liter gasoline engine to reduce fuel use. 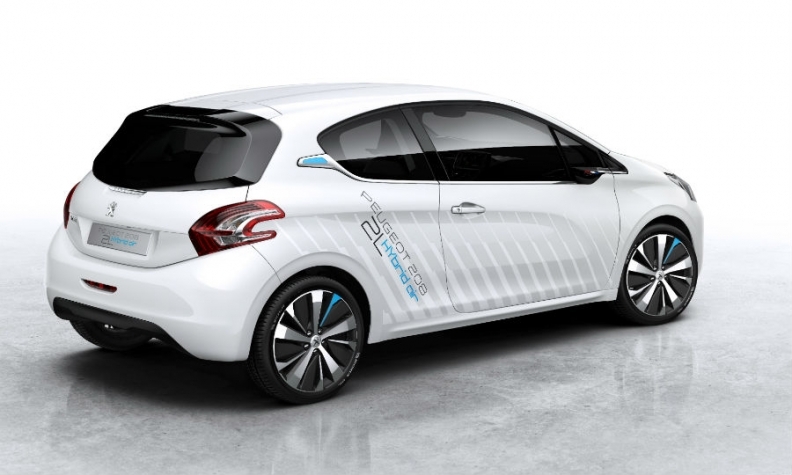 RENNES, France -- PSA/Peugeot-Citroen said it will continue development of its Hybrid Air technology to reduce fuel use, despite reports in the French press that the project almost certainly will not see commercialization. “We have no plans to cancel the project,” a PSA spokeswoman told Automotive News Europe. PSA unveiled its Hybrid Air project, which was developed with German supplier Robert Bosch, in 2013. PSA said it planned to launch hybrid cars partially powered by compressed air by 2016. The system uses compressed air as an energy source to power vehicles. French newspaper Les Echos reported on Jan 11. that hybrid air will not become a reality after PSA failed to find an automaker partner to share costs estimated at 500 million euros to bring the technology to market. The project’s leader, Karim Mokaddem, quietly left PSA late September to join a technology investment fund, the paper said. The PSA spokeswoman told ANE that Mokaddem’s departure was planned after the development phase was completed. She confirmed Les Echos report that the hybrid air team of 180 engineers has been reduced. “We are now waiting for another partner to help us begin the production stage,” she said. Hybrid air technology uses a vehicle’s engine and brakes to compress air, which is stored in pressure accumulators. The system allows the vehicle to be driven conventionally, hydraulically or by a combination of the two. The technology could cut passenger car fuel consumption up to 45 percent in the cities, PSA says. The spokeswoman said the project has created a drivetrain that achieves fuel consumption as low as 2 liters of gasoline per 100km (UK 141 mpg; U.S. 117 mpg).